Making weed tea out of your leftover stems is a great way to gain all the nutritional benefits and also to be as friendly as possible to the environment. Weed tea is actually used all over the world to treat numerous conditions including IBS, rheumatoid arthritis and multiple sclerosis. This is because cannabis in weed form delivers relief much faster than when inhaled. Weed tea is a wonderful alternative to those who dislike smoking but still want to get all the effects of cannabis. And weed tea can pack quite a punch. 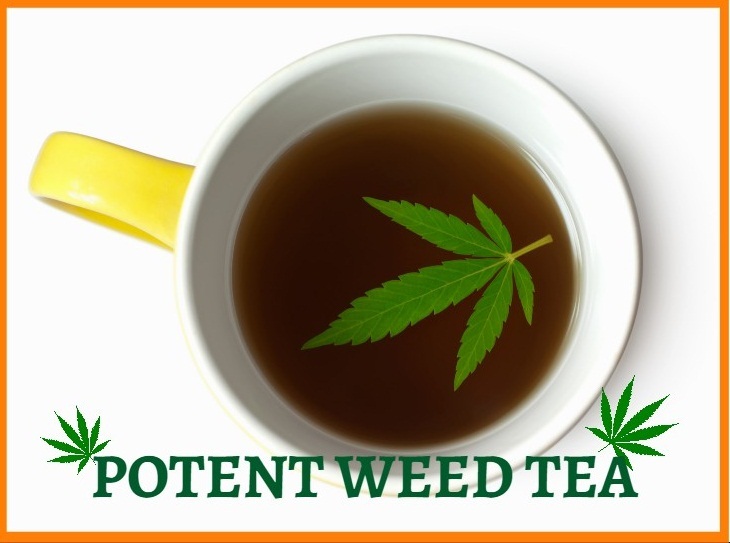 It would be a mistake to think that weed tea is not as strong as other methods of ingesting cannabis. You have the option of grinding or not grinding your stems. Grinding will increase the potency of the tea so it is probably the best option. Grinding can be a little messy, so a suitable compromise could be to grind up the stems with your hands. Fill the saucepan with 3 cups of water and add the 2-3 Tablespoons of alcohol or ½ tbsp of Butter/Coconut Oil. Alcohol is the best agent to increase the potency of weed if you are on the fence about which one to go with. Bring the water to the boil. If you are using alcohol, then wait until after the water has come to the boil to add it in. Once the water has been boiling for around 10 minutes, add the stems. Stir the mixture occasionally. You can add some marijuana buds or trim at this stage if you are really looking for some potent weed tea. Once the tea has been completely infused, remove it from the heat. The final step is to strain the tea. Use the coffee filter to separate the tea from the debris and you now have some potent green tea. You can add sugar or honey or any other kind of additive to enhance the flavor. Chai tea or turmeric can greatly add to this brew. Enjoy!